Notice that we put a negative sign on the payment you must make, and we have solved for the number of months. You still have to divide by 12 to get our answer. Also, some financial calculators won't report a fractional value for N; they automatically (without telling you) round up to the next whole period (not to the nearest value). With a spreadsheet, use the function =NPER(rate,pmt,pv,fv); be sure to put in a zero for fv and to enter -20 as the payment. Finding the Rate The last question we might want to ask concerns the interest rate implicit in an annuity. For example, an insurance company offers to pay you $1,000 per year for 10 years if you will pay $6,710 up front. What rate is implicit in this 10-year annuity? So, the annuity factor for 10 periods is equal to 6.71, and we need to solve this equation for the unknown value of r.Unfortunately, this is mathematically impossible to do directly. The only way to do it is to use a table or trial and error to find a value for r.
To illustrate how to find the answer by trial and error, suppose a relative of yours wants to borrow $3,000. She offers to repay you $1,000 every year for four years. What interest rate are you being offered? The cash flows here have the form of a four-year, $1,000 annuity. The present value is $3,000. 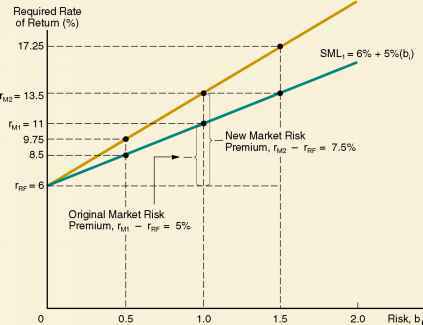 We need to find the discount rate, r. Our goal in doing so is primarily to give you a feel for the relationship between annuity values and discount rates. You can see that we're already in the right ballpark. This is less than $3,000, so we now know that the answer is between 12 percent and 13 percent, and it looks to be about 12.5 percent. For practice, work at it for a while longer and see if you find that the answer is about 12.59 percent. To illustrate a situation in which finding the unknown rate can be very useful, let us consider that the Tri-State Megabucks lottery in Maine, Vermont, and New Hampshire offers you a choice of how to take your winnings (most lotteries do this). In a recent drawing, participants were offered the option of receiving a lump-sum payment of $250,000 or an annuity of $500,000 to be received in equal installments over a 25-year period. (At the time, the lump-sum payment was always half the annuity option.) Which option was better? 'Financial calculators rely on trial and error to find the answer. That's why they sometimes appear to be "thinking" before coming up with the answer. Actually, it is possible to directly solve for r if there are fewer than five periods, but it's usually not worth the trouble. 172 PART THREE Valuation of Future Cash Flows value of $250,000, a $20,000 payment, and a 25-year period. If you grind through the calculations (or get a little machine assistance), you should find that the unknown rate is about 6.24 percent. You should take the annuity option if that rate is attractive relative to other investments available to you. Notice that we have ignored taxes in this example, and taxes can significantly affect our conclusion. Be sure to consult your tax adviser anytime you win the lottery.